Our Yellow Vine dribble bib is the perfect accessory for your little one. Modern, Beautiful and practical. These bibs are made from premium cotton fabric and are backed with a beautiful, soft 70% bamboo 30% organic cotton terry towelling. 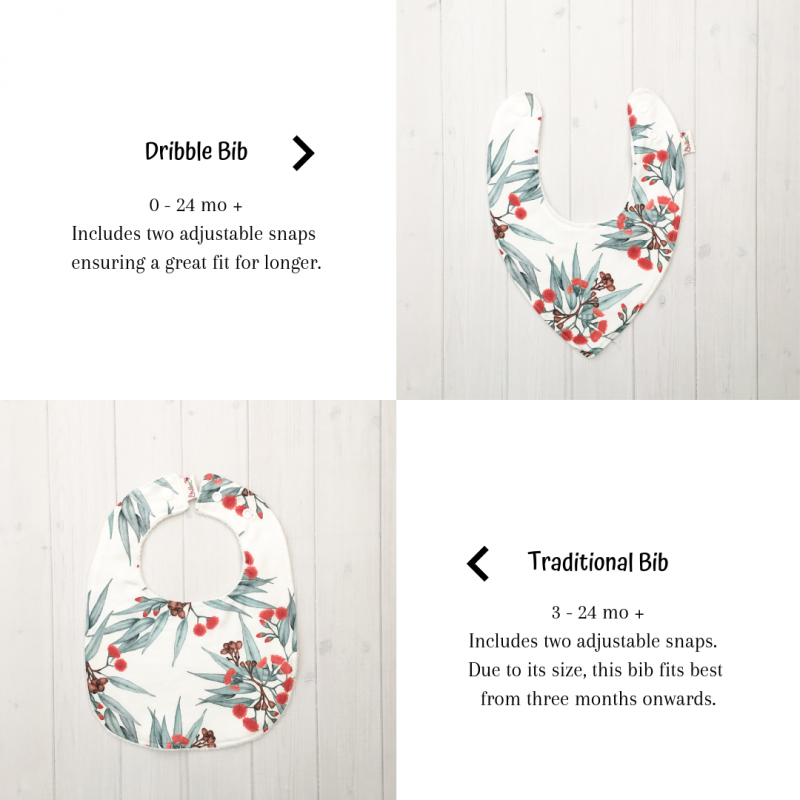 Each bib includes 2 industrial strength snaps which helps it fit easily from birth to toddler. Bamboo has amazing qualities which is why we love to use it. Bamboo is incredibly soft, light and breathable and is one of the most sustainable fabrics to use, as it grows very quickly and does not require the use of pesticides. It is naturally anti bacterial, anti fungal and odour resistant. It helps reduce bacteria that thrive on clothing and skin. And best of all, it is extremely absorbent. We love how it feels, and your baby will love it too. As all of our items are handmade to order, please allow up to THREE weeks for completion.